It was around this time last year that our family received very bad news regarding our mother’s health. After undergoing coronary angiogram, Nanay’s cardiologist informed us that she needed to have coronary artery bypass graft done the soonest possible time or she might succumb to a heart attack anytime. We all wanted Nanay to be okay, but there was a major problem. The cost of her operation (Php400,000 to Php450,000) was something we couldn’t afford. 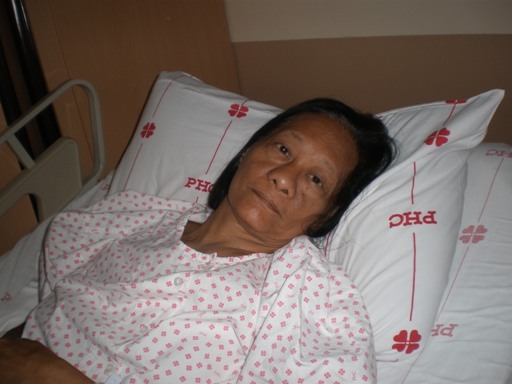 We had to find a way to raise the money needed for Nanay’s surgery and fast! We appealed to family and friends for financial help. Monetary assistance came trickling in slowly but surely until we reached the sum of more than Php200,000.00. That was our sign from God that Nanay would survive this ordeal. The rest of the money needed for Nanay’s surgery came from a loan that my husband took out from his office, which my sister and I have to pay for 5 years, with interest. 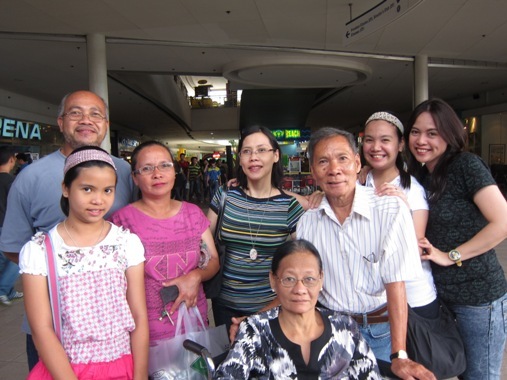 Finally, on June 9, 2010, Nanay’s quadruple bypass was done at the Philippine Heart Center. Ten months after her open-heart surgery, Nanay is alive and kicking and growing stronger! Many thanks to those who helped make her operation possible. We are forever indebted to all of you! And of course, we give back the glory to God who showed us that all we needed was to knock at His door and we would surely receive what we earnestly asked Him. Because of what she has gone through in 2010, it was only fitting that we celebrate Nanay’s 60th birthday with a bang. 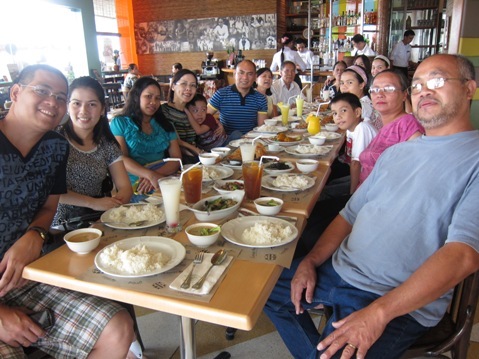 We gave her a birthday feast at Abe Restaurant at SM Mall of Asia last April 2, 2011. What we had for lunch there is now posted in my food blog. This entry was posted in Birthday Blowout, Bypass Surgery, CABG, Coronary Angiogram, Coronary Artery Disease, Nanay, Philippine Heart Center. Bookmark the permalink. happy 60th birthday to your Mom Tetcha :-); i agree…God answers our prayers! got an award for you nga pala…please grab it when you get the chance, thanks! Happy bday to your nanay, and may she have many more birthdays to come. God bless her and your family. Praise God for answered prayers. Happy birthday to your Mom. ← Kcat Yarza is an Inspiration to Us All!